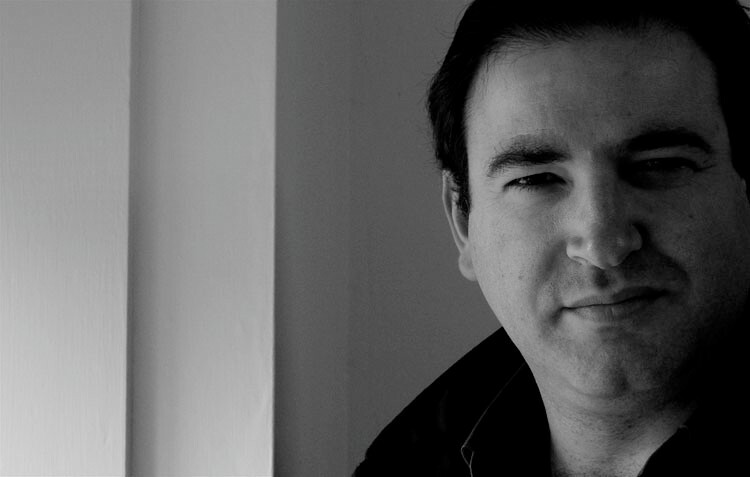 Ioannis (John) Psathas was born in Wellington in 1966 and is one of a few New Zealand composers who have made a mark on the international scene, particularly in Europe and North America. He is now widely considered one of the three most important living composers of the Greek Diaspora. Raised in Taumaranui and Napier, John is the son of Greek immigrant parents who arrived in New Zealand in the early 1960s. After studying piano and composition at Victoria University, he studied privately in Belgium with Jaqueline Fontyn before returning to take up lecturing at the New Zealand School of Music in Wellington. Psathas’s music has been commissioned and performed by many great musicians and orchestras around the world. These include Michael Brecker, Dame Evelyn Glennie, Michael Houstoun, Joshua Redman, The New Zealand String Quartet, Federico Mondelci, The New Zealand Trio, Pedro Carneiro, the Takacs Quartet. The Netherlands Blazers Ensemble, the Halle Orchestra, the Royal Philharmonic, the Melbourne Symphony, the BBC Scottish Symphony, the Auckland Philharmonia, the Vector Wellington Orchestra, the NZSO, and many others. Psathas has a natural inclination and innate ability for mega-projects. Since writing much of the ceremonial music for the 2004 Olympic Games, John’s music has been on the radar screen of a wider public than that normally associated with contemporary classical music. To him, music composition is first and foremost a communicative art form. He is constantly seeking ways and means of making intellectual music accessible to a wider audience. He explores connections between contemporary music and age-old musical traditions and he puts together programs, like his “Zeibekiko” that create context for the appreciation of difficult contemporary works. In 2003 he received an Arts Foundation Laureate Award, and in 2005 was awarded ONZM for services to music. Psathas was the Distinguished Guest Composer at the Winnipeg’s 2010 New Music Festival.